As our Experiential Learning page attests, students of IPE exemplify experiential learning: building professional skills, experiencing the world, engaging the community, and conducting research, throughout their interdisciplinary studies. Here are a few students and activities that exemplify the four areas of experiential learning. Maddie is an IPE and French Studies double major from Los Angles, California. Maddie spent the summer of 2015 on the International Political Economy International Internship Grant in Dijon, France. In Dijon, she got the opportunity to adapt to foreign work environments and enhance her language skills in a professional setting. 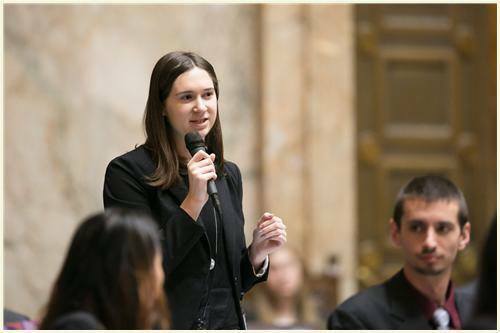 In the spring of 2016, Maddie interned in Olympia for the Washington State Legislature, where she got to work with legislative staff on issues of public policy. Among her responsibilities, Maddie is the programming director at KUPS. In her spare time, Maddie enjoys cooking and building beautiful pieces of furniture out of cheap IKEA products. Amanda is an IPE and P&G major from Los Altos, California. 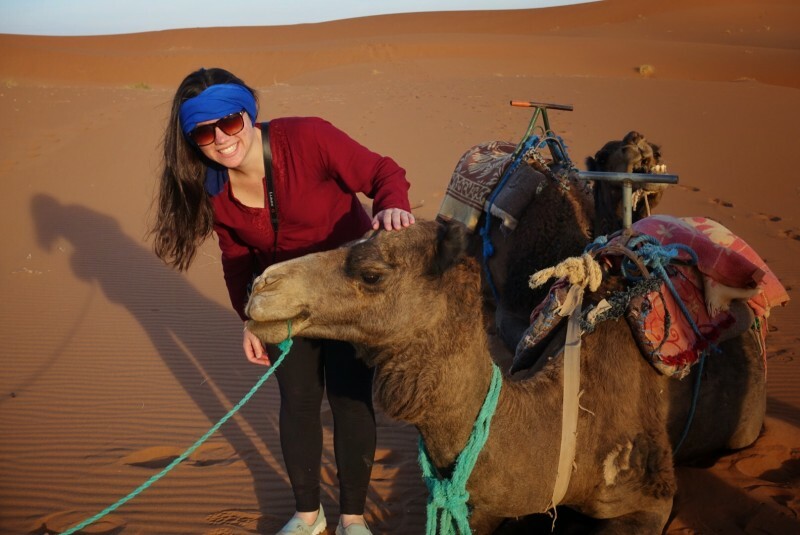 Upon majoring in IPE, Amanda became infatuated with studying the Middle East. During the summer of 2015, Amanda traveled to Morocco to study multiculturalism and human rights. According to Amanda, studying abroad gave her the opportunity to experience first-hand many of the issues that she had been discussing in her classes at Puget Sound. Her semester abroad, she says, “reshaped how I view myself, my country, world politics and economics, and what I want to do with my life.” When she isn’t busy tracking events in the Middle East or brushing up on her Arabic, Amanda is often busy volunteering in the local community or playing her clarinet in Concert Band. This summer, Amanda will be studying Arabic at the Qasid Institute in Amman, Jordan. Upon graduating, Amanda hopes to work for the U.S. government or a non-profit organization that allows her put her Arabic and IPE skills to use. 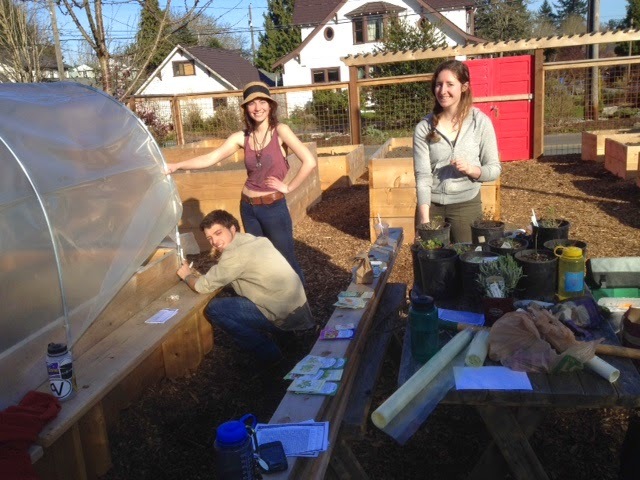 Through Professor Peine’s Garden Practices activity course (ENVR 356), students engage with the community through the community garden, while learning about gardening and food production in the Pacific Northwest. During the session in which this photo was taken, students were learning how to build hoop houses for year-round gardening, identify and manage common pests, and rotate crops for soil nutrient management. They are even growing kale that will soon be showing up in salads, pasta, and other fare at the SUB, so stay tuned! 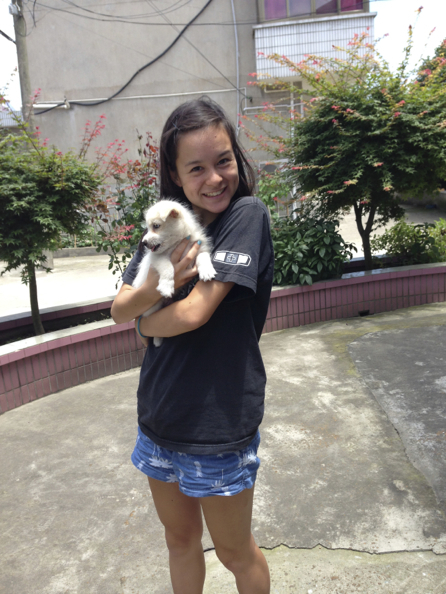 Taili Ni is an IPE and Chinese major from Sacramento, California. During the summer of 2015, Taili conducted research about Chinese environmental policy in Shanghai and Jiangsu, China. As part of her research, she interviewed urban and rural residents about the effects of environmental degradation on their lives. Her research culminated in her senior thesis, which focused on the enforcement issues with Chinese environmental policy. In addition to her research experience, Taili has interned at the World Trade Center Tacoma, where she conducts research on behalf of the WTO. In her spare time, Taili runs Cross-Country and Track & Field for the University of Puget Sound. She also enjoys reading novels and watching Friends. Although she remains undecided about her post-graduation plans, Taili hopes to find a career that will allow her to utilize both of her majors.